General Motors Co. Chief Executive Officer Dan Akerson plans to double the 2012 production capacity for the Chevrolet Volt to 120,000 as he works to boost the plug- in hybrid’s sales, said two people familiar with the matter. Volt output this year may increase to 25,000 from an original plan of 10,000, Akerson said earlier this month. GM now is working with suppliers to raise 2012 capacity from an earlier target of 60,000. It may not build that many if parts aren’t available or demand isn’t strong enough, said the people, who didn’t want to be named because the plans are private. Akerson, who became CEO in September, wants to sell more of the $41,000 Volt and is pushing to use its Voltec gasoline- electric drive system for models sold by other GM brands. Akerson has said he wants GM to have more fuel-efficient models ready for a possible increase in oil prices to $120 a barrel. Crude oil that year climbed to more than $140 a barrel and average gasoline prices topped $4 a gallon. Sales of trucks and cars with large engines plummeted, contributing to GM’s $30.9 billion loss that year. Randy Fox, a GM spokesman, declined to comment on production plans. He said he didn’t know how many people have ordered a Volt or how long they will have to wait. Akerson told his executive team in early December that he wanted to boost Volt production and explore adding its drive system to several models with a goal of at least tripling sales of vehicles with that technology by mid-decade from the 2012 target, people familiar with the matter said at the time. After exploring its options, the team settled on doubling capacity for the Volt next year, they said. GM is still evaluating the Volt’s technology for other models. Higher output will allow GM to reduce the cost of the Volt’s drive and battery systems, helping it lower the car’s cost in future years, said Jim Hall, principal of 2953 Analytics Inc., an automotive consulting firm in Birmingham, Michigan. GM should be able to sell all of its Volt production as long as the government’s $7,500 tax incentive is in place, Hall said. The incentive expires after GM sells 200,000 of the car. GM may announce the production increase at the Washington auto show next week, one of the people said. The Volt can travel about 35 miles on a fully charged battery before the gasoline engine kicks in, giving the vehicle an additional 340 miles of range on a full tank of gas, GM said on its website. 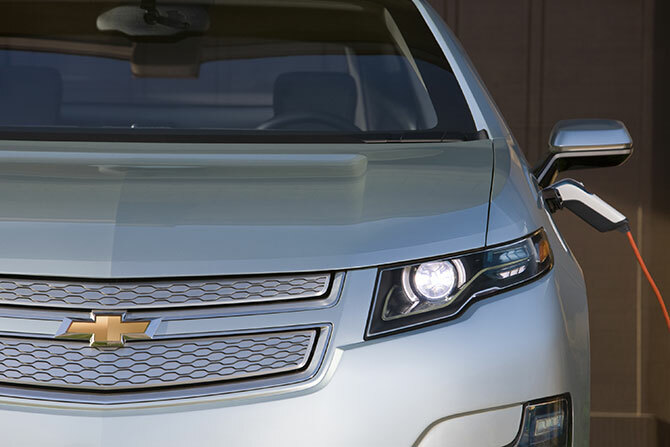 The U.S. Environmental Protection Agency estimated the Volt’s energy use as the equivalent of 93 mpg in electric-only mode. In combined gasoline-electric driving, the EPA estimated the Volt would average 60 mpg, GM said. In gasoline-only mode, when the battery was drained, the car would get 37 mpg, GM said.